Being a fan of Sci-Fi, I can tell that one of the pre-occupations of mankind is learning how to live forever. Shallow as that may sound, it’s an unconscious desire of every human, including YOU. Well, I learnt the secret of living forever in the most unlikely places-rap music.50 Cent, in the euphoria of releasing his first album raps, “When I die, they’ll read this and say a genius wrote it”. Ludacris in the first song off his album, Chicken n Beer, raps, “Through this music, I’ll still be heard if I’m dead”. matter, death and life, meaning and vanity—seemingly arriving at no definitive conclusions besides humility, ignorance, and grace. What if Blaise Pascal had decided not to write his thoughts, for he died at the young age of 39.
and subtraction, called Pascal’s calculator. 400 years later, these machines are widely regarded as the first computers and are the pioneers of computer engineering. 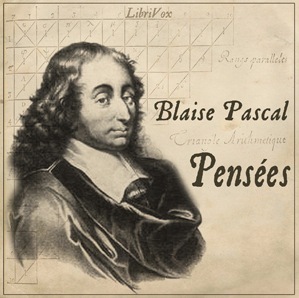 Today, there are limited copies of Blaise Pascal’s writing, especially the book, Pensees. It is mostly published with the original title Apologie de la religion Chrétienne (“Defense of the Christian Religion”) but I’m sure the book will never be phased out. It was Blaise Pascal’s last writing and an immortal sign of his creative genius as a writer. He died, his last words being “May God never abandon me,” and was buried in the cemetery of Saint-Étienne-du-Mont. Unleashing your creative side makes you immortal.